The drop-off in supply of rented accommodation in large urban areas coupled with rising demand has led to increasing difficulties for renters on low incomes. TENANTS DESPERATE TO find somewhere to live as prices rise and supply drops are being forced to accept sub-standard accommodation. A report to be released today by housing charity Threshold found minimum standards in housing are not being met and some prospective tenants face a raft of bad practice by landlords, including the illegal retention of deposits. A recent report by property website Daft found that rents have increased significantly over the past year, up by 4.8 per cent on the same period last year. In Dublin alone, prices have risen by 7.6 per cent as supply has dropped dramatically. 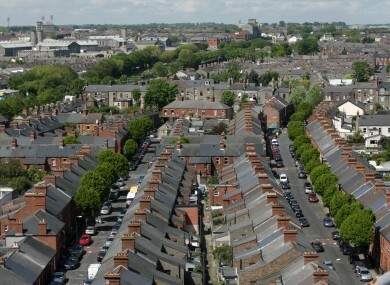 The average rent nationwide is now €824 per month, with a Dublin average of €1,152. Senator Aideen Hayden, the head of Threshold, said that the low standards in rented accommodation has become a major problem in the recession. “Desperate tenants often feel they have no choice but to accept substandard accommodation,” she said. Many local authorities are failing to inspect rented properties and, in some cases, appear to be unaware of their obligation to do so. Even landlords who wish to comply are failing to maintain their properties due to their own financial problems. An estimated 86,000 people receive rent supplement on the basis that they have no other source of accommodation available to them and they would be otherwise unable to afford a rental home. New changes from the Department of Social Protection earlier this year increased the rent supplement limit in areas like Dublin and Galway where prices have increased since the last adjustment in January 2012 and lowered it slightly in other areas. Email “Desperate renters accepting sub-standard accommodation as prices rise”. Feedback on “Desperate renters accepting sub-standard accommodation as prices rise”.